That pie is a thing of beauty! Too bad tablets don’t have smell and taste capability! 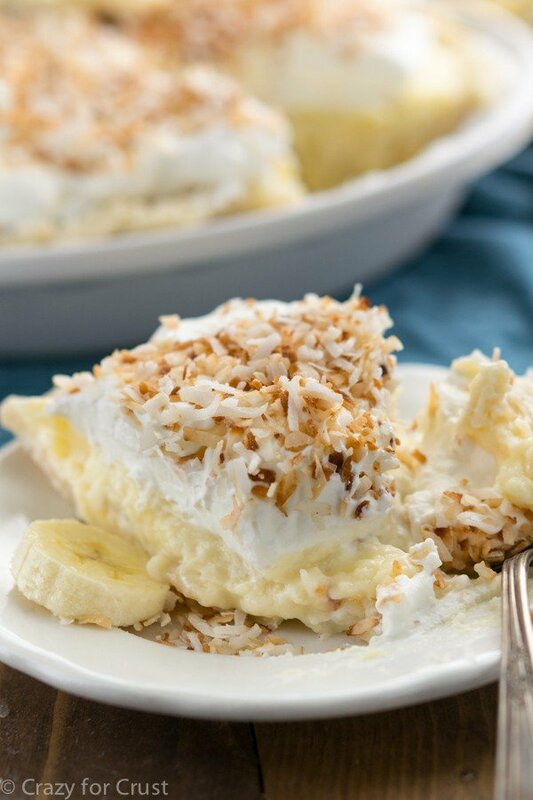 Dorothy, I love the combination of banana and coconut pudding. Your pie looks mouth-watering delicious! I love love love this mash-up! Coconut and banana really belong together anyways so it just makes sense! This looks absolutely delicious! Pinned! 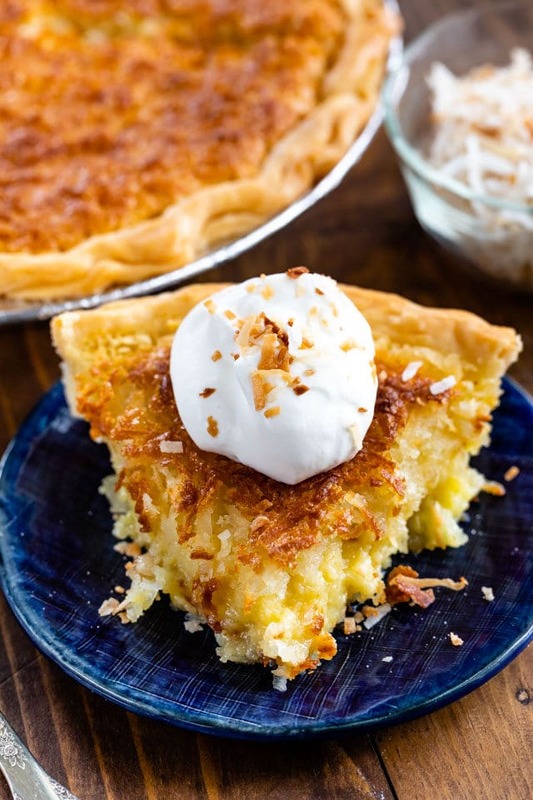 So many gorgeous pies on blogs today! Love it! 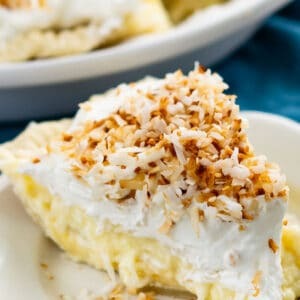 I have a weakness for coconut right now and I would love a slice of this beauty! Gorgeous! Pinned! 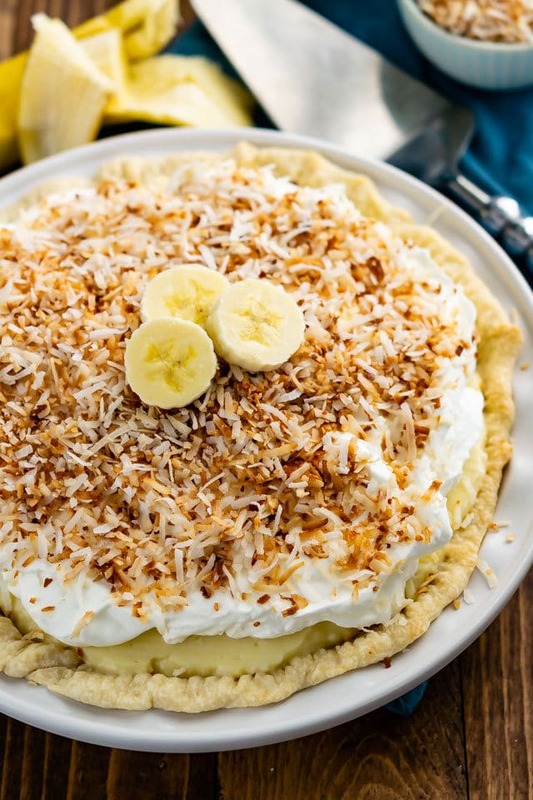 I am not even sure I have ever had banana cream pie but lately I have been TOTALLY craving it! So I think I have to make one soon! Also, toasting coconut on the stove top? Pure genius! I will be trying this! What a funny story Dorothy! I have a daughter like that in some regards. If she had to choose between one of my cookies and a pack of Skittles she’d choose the candy. I have to make sure we never have candy! 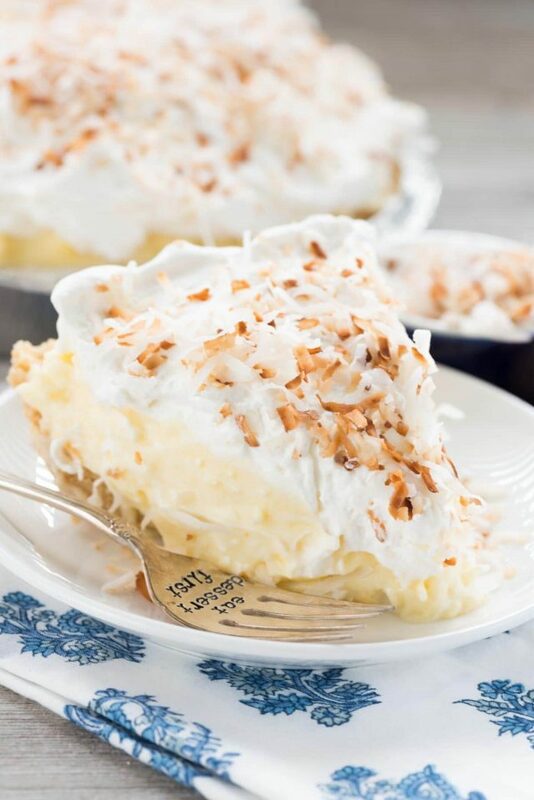 I am go glad you combined two pies-it just makes this one even more heavenly! Ha I know that exactly! I let Jordan get a bunch of jelly beans the other day and last night we made brownies. She ate the jelly beans!! Holy yum!!! That is seriously one amazing looking pie! I love that you combined two greats to get one out of this world dessert!!! Such a great combination of pies in one! Love that the pudding is from scratch! 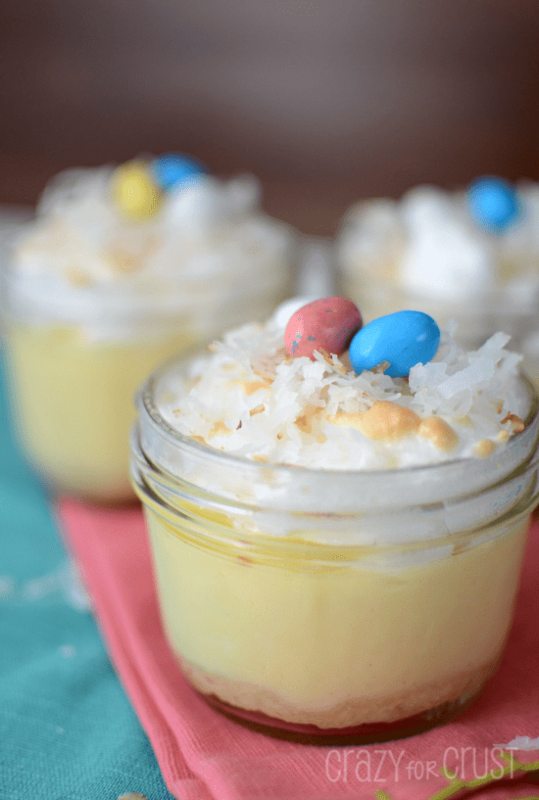 Who doesn’t like pudding?! Haha! 🙂 Well, I would gladly take his share (or the whole pie) because coconut cream pie and banana cream pie? Sold. Sold twice. This looks downright fantastic. I love this! I love banana and coconut together. And I’m totally with you. When my husband tells me he wants me to buy cookies at the grocery store I’m like, “Are you KIDDING me?!?!!”. Do you use imitation coconut or can you find real? I don’t want to use imitation because propalyne glycol was in my body wash and my coconut flavoring, so that’s gross. I see that you go to all the trouble to make a crust, pudding and whip cream so I thought you might use real extract. It’s impossible for me to find. Unfortunatley I’ve only ever been able to find imitation in stores. Possibly you can find real extract online somewhere? You can leave out the extract, but I like to add it since it adds to the coconut flavor. Without it you get a hint of coconut flavor and, of course, the texture from the coconut, but I want to really taste it. Just skip it if you prefer! 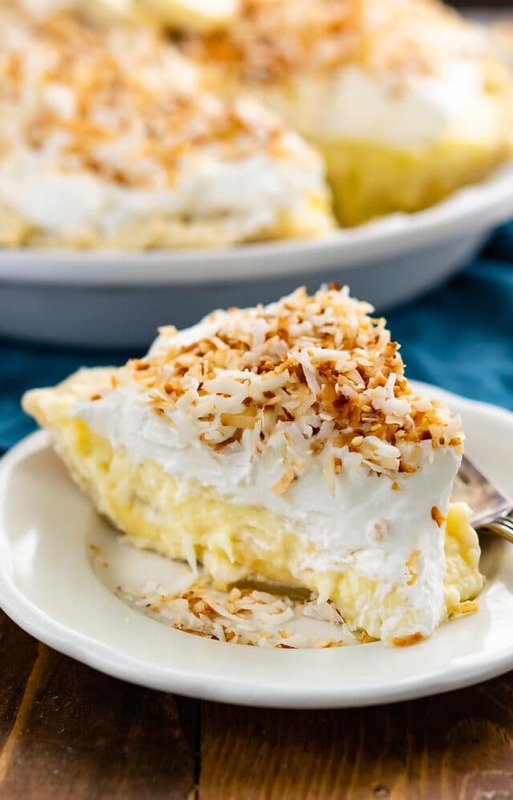 I made some substitutes to this pie pudding: used tapioca starch in place of corn, almond milk rather than cow’s, coconut oil verses butter, organic coconut palm sugar rather than white sugar. My crust was almond and coconut. The results of which was just delicious and a healthier version. Great to now all of those substitutions worked!! Thank you! You make your own coconut extract, very easy and delish. Google it!!! I don’t have coconut extract, could I substitute this with vanilla extract? Do you think it would dramatically change the taste?